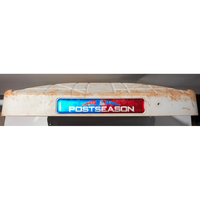 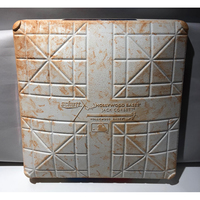 Game-used base from the 2018 Postseason ALDS between the Cleveland Indians and Houston Astros on October 5th, 2018 and October 6th, 2018. 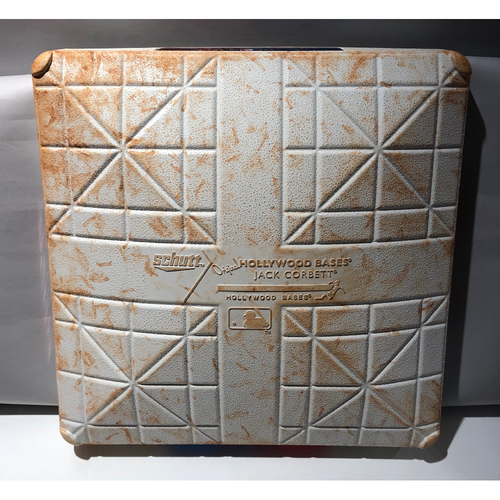 This 1st base was used on the field from the 8th inning through the rest of the game on October 5th, 2018 and for innings 8 and 9 on October 6th, 2018. 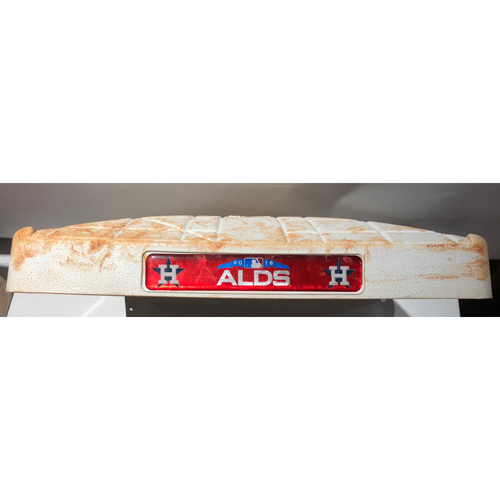 The Houston Astros would go on to win the series 3-0.